Dr. Les Moore is a pioneer and leader of integrative medicine, having served as the Director of Integrative Medicine at Clifton Springs Hospital and Clinic in Clifton Springs, New York for twelve years, employed at Sands Cancer Center, FF Thompson Hospital, and the clinical director of Finger Lakes Center for Natural Health in Ithaca, New York. He currently serves as the director of the Center for Special Medicine in Pittsford, New York, where he focuses on multiple chronic disease and pain syndrome, autoimmune disorders, digestive disorders, sinusitis, allergies, environmental illness, chronic fatigue, burnout syndrome, and other difficult and recalcitrant diseases. Dr. Moore has a Doctor of Naturopathic Medicine from the National College of Naturopathic Medicine in Portland, Oregon. He was a founding member of the Oncology Association of Naturopathic Physicians and one of the first Fellows of the American Board of Naturopathic Oncologists. He has served as the President of the New York Association of Naturopathic Physicians and was the 2006 NYANP Naturopathic Physician of the Year. Dr. Moore is the leading East Coast expert in Classical Chinese Medicine, having earned a Master of Science in Oriental Medicine from the Department of Classical Chinese Medicine at the National College of Naturopathic Medicine. There he studied with sinologist and Classical Chinese Medicine expert Heiner Fruehauf, PhD, LAc., Spleen and Stomach Tonifying School expert Dr. Rihui Long, Kidney Tonifying School expert Dr. Menge Kou, academic lineage holder of the Wenbing school of therapy Dr. Haoshao Zhang, lineage holder of the Jinjing Neidan school of therapeutic qigong Professor Wang Qingyu, and master acupuncturist, shiatsu practitioner, and Taijiquan expert Jim Cleaver, LAc. Dr. Moore is fully trained in Chinese herbal medicine, naprapathy (tuina), and is a master of Qigong exercise therapeutics. Dr. Moore is also an expert in Japanese Traditional Medicine, practicing Japanese acupuncture (Shinjutsu), Judo Therapy (Seifuku, traditional naprapathy from jujutsu), Shiatsu (bodywork), Taiso (exercise therapeutics), and Kampo (Japanese herbal medicine). He is a New York State Licensed Acupuncturist and a Diplomate of Acupuncture of the National Certification Commission for Acupuncture and Oriental Medicine. 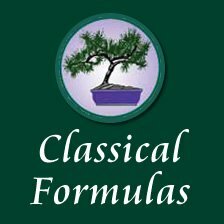 Dr. Moore is also an expert in Classical Homeopathy, having received a Certificate of Homeopathic Medicine from the National College of Naturopathic Medicine and is a Diplomate of the Homeopathic Academy of Naturopathic Physicians and a Certified Classical Homeopath from the Council for Homeopathic Certification. He is a professor of the American Academy of Homeopathy and a board director of the Homeopathic Academy of Naturopathic Physicians, serving as vice-president of the Homeopathic Academy of Naturopathic Physicians. Dr. Moore is also a Registered Advanced Ayurvedic Practitioner of the Association of Ayurvedic Practitioners of North America and has earned a Master of Marma Adi from Garuda Chuanfa Cimande and an Advanced Diploma of Ayurvedic Acupuncture from the Australian College of Ayurvedic Medicine. He conducts Ayurvedic consultations and classical and modern pancha karma. He is the leading practitioner of marmapuncture in the United States, the system of acupuncture from Ayurvedic medicine, and is the senior student of Dr. Frank Ros MD (Ayu) in North America, the leading expert of marmapuncture in the world. Dr. Moore is a multiple generation herbalist, having studied with his father in the Southern Appalachian tradition and the Saponi tradition. He is a Registered Herbalist with the American Herbalist Guild and has written a leading textbook on Classical Formulas in the Western Herbal Tradition. He has been the principle instructor of the Botanical Medicine Institute for fourteen years. A large portion of Dr. Moore’s practice is with naturopathic manual therapy, where he is an expert in naprapathy and constitutional hydrotherapy. Naprapathic manual therapy deals with the treatment and rehabilitation of pain and dysfunction in the neuromusculoskeletal system, with a focus on connective tissue disorders, tendons, ligaments, and fascia. He is also fully trained in both Bowen Fascial Therapy and Ortho-Bionomy positional release technique. He developed Moore Neurolymphatic Therapy, a naprapathic technique that works with the nervous system, musculoskeletal system, and the lymphatic system for pain syndromes and detoxification. He was a contributing author to the textbook Naturopathic Physical Medicine. Dr. Moore is also a leading expert in Environmental Medicine and detoxification, using naturopathic detoxification methods, German biological (functional) medicine (he has spent five years in Germany), constitutional hydrotherapy, homeotoxicology, and Ayurvedic biopurification. He is a professional medical geologist, having lectured internationally on Medical Hydrology and served as NYS balneologist for Saratoga Springs, Clifton Springs, and other mineral springs in New York. He served as the chair and a co-founder of the New York Spa Promotion Alliance with former Lieutenant Governor Mary Anne Krupsak. He is an advisory committee member to the North American Balneology Association. Dr. Moore received a Bachelor of Science in Natural Resources Management in the Department of Geosciences from Western Carolina University. Dr. Moore is also trained in pastoral and spiritual care and counseling, having earned a Graduate Certificate in Pastoral and Spiritual Care and Counseling and a Master of Art in Applied Theology from Marylhurst University in Marylhurst, Oregon, and a Doctor of Practical Ministry from Wagner Leadership Institute focusing on pastoral care and counseling. He is the author of the book Healing in the Christian Spiritual Tradition and the author of a chapter in the textbook The Behavioral Sciences in Health Care. He is a member of the Society for Pastoral Theology. Dr. Moore serves as the senior pastor of Wellspring Church in Clifton Springs, New York. His service has included serving on the Board of Professional Medical Conduct, Office of Professional Medical Conduct, New York Department of Health, since 2006. He is also a Fellow of the Federation of State Medical Boards. He served as the Director of Complementary and Alternative Medicine Special Projects, Office of Regulatory Reform, New York Department of Health. He was a founding member of the White House Health, Tourism, and Recreation Task Force on Obesity. He has been a senior advisor to a federal agency. He served in the US Army as an infantry sergeant and infantry officer, and received the Humanitarian Service Medal as a civil-military detachment commander for disaster relief in Joint Task Force Andrew. Dr. Les Moore is a subject matter expert in military medical anthropology, the science that examines the indigenous medical system of host nations for intelligence, civil affairs, disaster relief, and special operations. In order to understand a host nation or refugee population in disaster relief, one must understand their medical system, which is integrated with their belief system, culture, and military systems. Dr. Moore coined the term ‘special medicine’ in the early 1990’s to refer to that medicine which can both help improve performance and help understand an indigenous culture. He has studied fully the large medical systems of Asia, Europe, the Middle East, Africa, and the Americas. Dr. Moore has published two books, four chapters in major medical textbooks, and hundreds of medical articles. He set up the first Chinese medicine pharmacy at the National College of Natural Medicine and served for twelve years as the clinical advisor to Classical Formulas in Clifton Springs Hospital and Clinic, which was the most comprehensive natural pharmacy in a hospital in the world.